Feliz día de Andalucía! 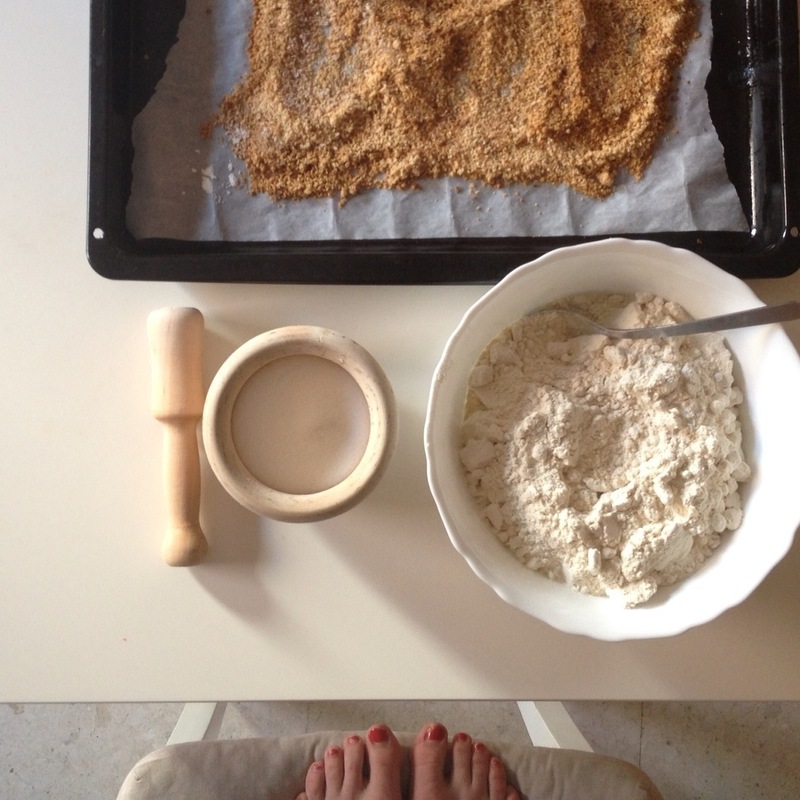 I’m in Amsterdam today (taking advantage of the long weekend) instead of Andalucía, but to celebrate I will leave you with this recipe for a traditional Spanish treat! 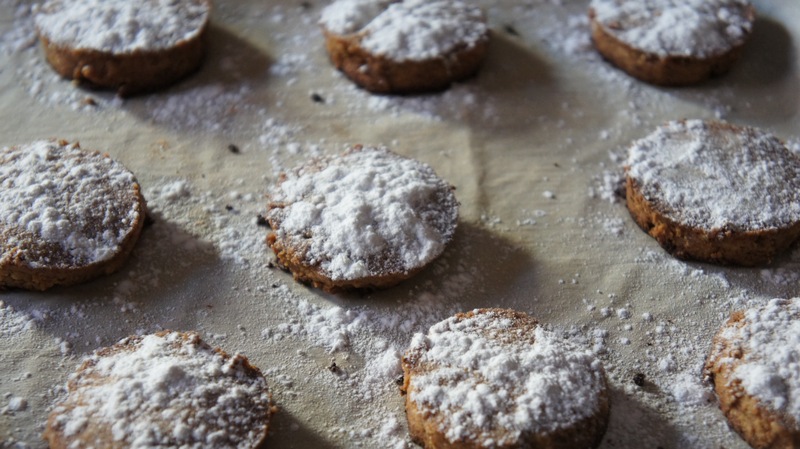 These sweet, crumbly cookies, known as polvorones or galletas fritas, are traditionally made with lard, but this recipe uses olive oil (so you can feel kind of healthy while you eat them?)! 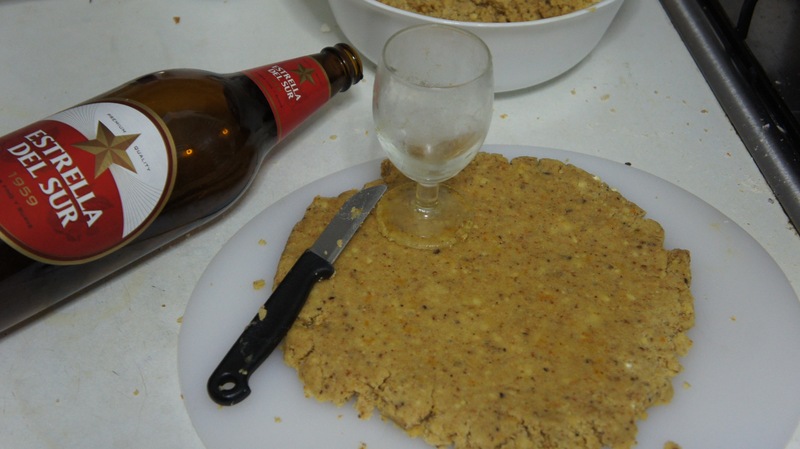 I didn’t have anise extract, so I used some vanilla, and I didn’t have a rolling pin so I used beer bottle. 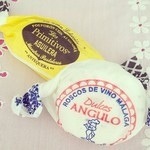 This is how things go in my Huelva kitchen. Although a few of my galletas were just a bit too crumbly, these were a lot easier to make than I originally thought they might be, and it’s another item crossed off my Spanish Cooking Bucket List! 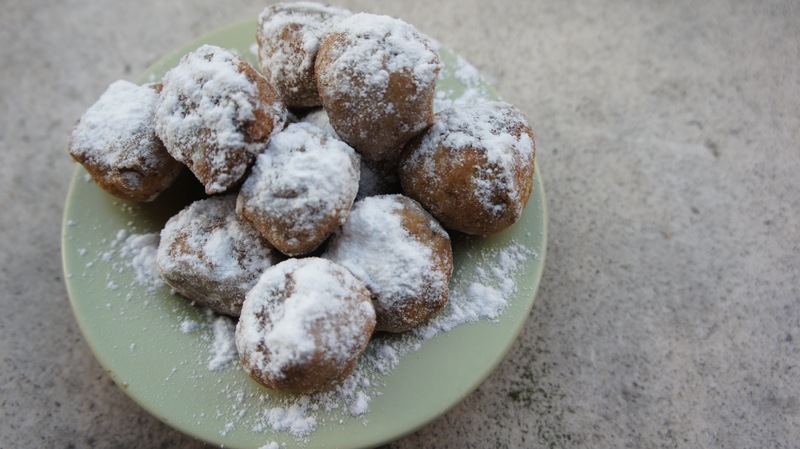 This entry was posted in Desserts & Indulgences, Food, Glorious Food!, Spain and tagged almonds, bucket list, cookies, olive oil, Polvorones by kshap. Bookmark the permalink. Time for a home pedicure? !